Well suited for use in high-density fiber environments, multi-fiber MPO cables eliminate the expense of running individual patch cords for each service turn-up. Widely used in Data Center interconnects, MPO cables are spreading into telecom access applications such as FTTH, FTTA or C-RAN. 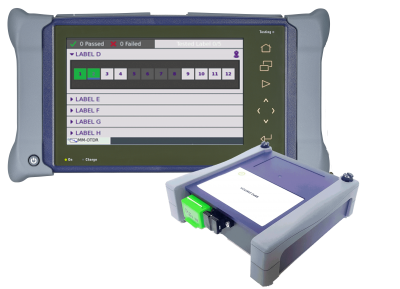 The use of an MPO switch is the best way to accurately and quickly characterize individual fibers of an MPO cables with an OTDR.